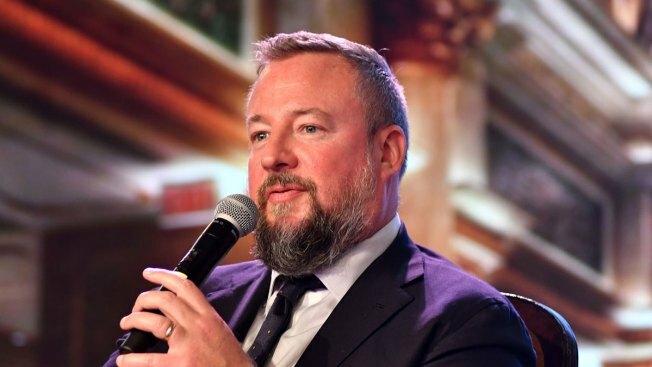 In this file photo, Shane Smith, chief executive officer of Vice Media Inc., speaks during the Global Business Summit in New Delhi, India, on Monday, March 27, 2017. The founders of Vice Media admitted to having "failed as a company to create a safe and inclusive workplace where everyone, especially women, can feel respected and thrive" after a New York Times investigation published Saturday revealed allegations of sexual harassment and a toxic work environment. The report said three Vice employees received settlements after they made allegations of sexual harassment, one of which involved the president of the company. Another employee received a settlement after suing for defamation. The settlements go back a decade and Vice co-founders Shane Smith and Suroosh Alvi acknowledged the challenges their company faced, NBC News reported.